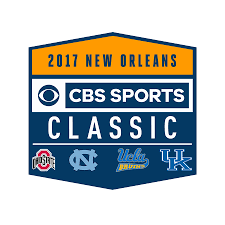 The UCLA Bruins and the 7th-ranked Kentucky Wildcats will meet in the late game in the CBS Sports Classic on Saturday. The game is being played at Smoothie King Center and CBS Sports has the telecast at 4:30 pm EST. Oddsmakers opened the Wildcats as -6.5-point favorites versus the Bruins, while the game’s total opened at 157. The line has held steady. The Wildcats and Bruins face for the third time in a little over 12 months. Two vastly different teams take the floor than those that met last December in Lexington or in March at the NCAA Tournament. Gone are UCLA’s 2016-17 stars Lonzo Ball, T.J. Leaf and Isaac Hamilton. Add that with the suspension of three freshmen before the season the Bruins are playing with a thin roster. Jalen Hill, Cody Riley and the now-gone from the program LiAngelo Ball were caught stealing in China and were suspended for the season. Year-to-year roster turnover is standard fare for Kentucky under coach John Calipari. Gone from last season’s team are key contributors Malik Monk, Isaiah Briscoe, Bam Adebayo and De’Aaron Fox. They have been replaced by four freshmen. All of them are scoring in double figures. Forward Kevin Knox is at 15.8 points, guard Hamidou Diallo is at15.2, guard Quade Green is at11 and guard Shai Gilgeous-Alexander is chipping in 10 ppg. Green is coming off a 17-point performance in Kentucky’s 93-86 win over Virginia Tech a week ago. He debuted a pair of reflective glasses after being poked in the eye earlier in the week. UCLA struggled with full-court pressure the last two times out. Cincinnati’s press forced 15 first-half turnovers last week in their matchup. This year’s Kentucky team is pressing more than any Calipari team in a decade. Get all Your College Basketball Odds at Bovada Online Sportsbook.